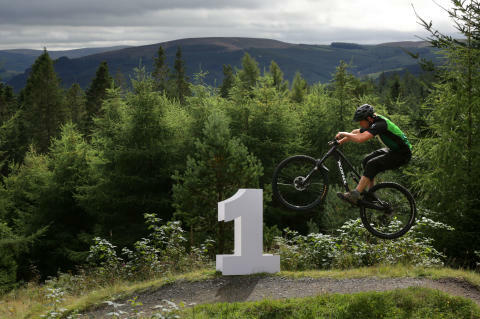 Mountain biker Alan Hunter at 7stanes Glentress. Over a million passenger journeys have been made on the Borders Railway since it officially opened 12 months ago today (September 9). The new figure was announced by Transport Minister Humza Yousaf and ScotRail Alliance managing director Phil Verster at a special event at Edinburgh Waverley this morning to mark the line’s first birthday. Borders, which is the longest new line built in the UK for over a century, was officially opened by Her Majesty the Queen on Wednesday, September 9, 2015. Mr Yousaf and ScotRail Alliance staff were joined by passengers and local businesses from along the line of route to celebrate the positive economic and social impact the new railway has had on Midlothian and the Borders. Over its first 12 months the new railway’s 21,000 train services have carried its first million passengers on a combined 35 million miles. Verified passenger numbers for the first year of operation are not yet available, but they are expected to exceed the forecasts made in the original business case. Local tourist attractions are also starting to see the benefits of the new line with Abbotsford House, Sir Walter Scott’s home, recording a 12% increase in visitor numbers this year. Elsewhere, research by the Moffat Centre has shown that overall visits to Midlothian and Borders tourist attractions increased by 4% and 6.9% over the first seven months of 2016, compared to the same period last year. “I am delighted that we are continuing to see the Borders Railway go from strength to strength with over one million passengers using the line during its inaugural year. 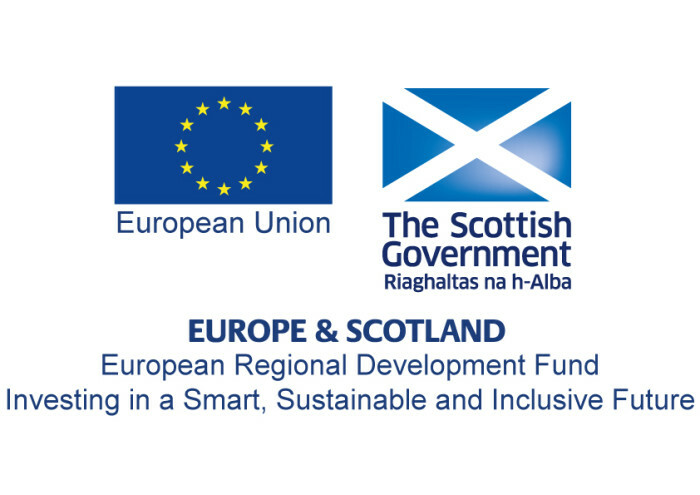 “Not only has the railway linked the communities in the Borders and Midlothian with the wider Scottish rail network for the first time in 46 years, but the increased accessibility has breathed new life into the region, boosting tourism and employment opportunities. 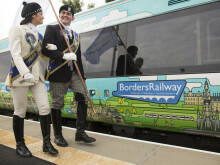 “A year ago, the world’s media descended on the Borders Railway to cover the momentous re-opening of this historic route. Since then, the 30 mile route has provided a huge boost for Scottish tourism, increasing visitor numbers, creating jobs and sustaining communities. It has also helped to shine a spotlight on the Scottish Borders, Midlothian and Edinburgh, making it easier than ever before for visitors to explore the wealth of attractions these regions have to offer. 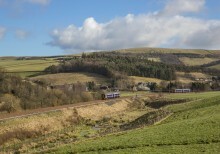 The reopening of the Borders Railway re-established services from Edinburgh through Midlothian to Tweedbank for the first time in over four decades. Such is the demand to travel on the line, more seats will be introduced on peak services next year along with plans to introduce longer trains on more services from 2018 – providing significant, longer term increases in capacity. This is in addition to a significant investment in the rolling stock to deliver enhancements worth over £14 million to the trains over the next two years including fitting power sockets, flooring, lighting, painting, re-livery and wheelchair spaces.